Having a trade can offer a whole load of varied, and often profitable, career opportunities. 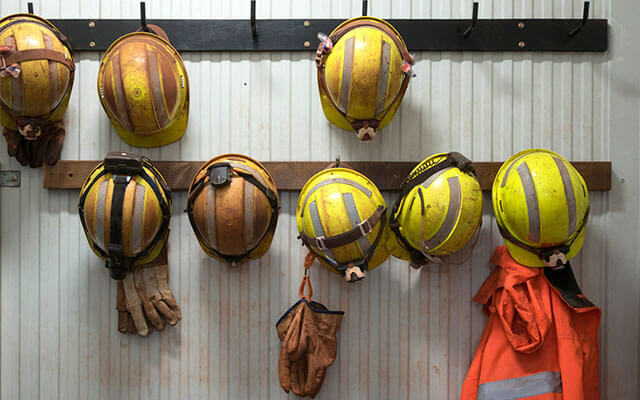 So if you’re weighing up your options before you commit to a career path, find out more about the building and construction industry as well as where the Certificate I in Construction or Certificate II in Construction Pathways could take you. 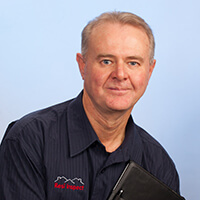 “The best things about working in the building and construction industry are seeing a completed project that you have been involved in and knowing that a client that has received the project they have envisaged,” Jeffery says. Is getting a qualification in building and construction worth it? A lot of people will say that you don’t have to have a qualification to start work in the construction industry. And if you want to stay at Handyman level, this is correct. However, Program Manager Chris Veness says “gaining a qualification will officially vouch for your knowledge and skills and will guarantee you job opportunities”. Chris also notes that “the major benefit of becoming qualified and then going onto becoming a Licensed Builder, is that it will give credibility to your business and heavily increase the potential for further growth. The courses are a pathway to gaining an apprenticeship. They will give you the basic skills you need to start working on a building site, and the Certificate II in Construction Pathways can help you decide if you want to specialise in a particular trade, like carpentry or joinery. Starting with one of these entry level courses will give a strong foundation on which to start your career or move on to further study. This could lead to you owning your own business or taking on a senior role on a construction site. If you’re thinking of pursing a role in the B&C industry after you leave school, gaining an entry level qualification and moving onto an apprenticeship is the perfect place to start. “This industry is hugely versatile, with a long list of opportunities,” says Program Manager Chris Veness. “An Open Colleges course will help you gain the best exposure and learn the fundamentals needed in the industry. “Also, the government has predicted significant growth in this industry for the next 10 years”, meaning skilled construction workers will be in high demand. So there’s no better time to get qualified and kick start your career. 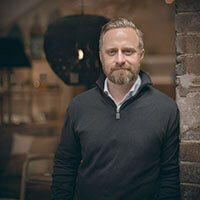 For over a decade, Chris has been training industry professionals and interior design students at both University and TAFE levels, as well as working in the design industry and running his own design and 3D practice. As a practising building designer and interior designer, Chris delivers the very highest quality standards to his clients. Both of these construction courses are centred around simulated construction projects. This means you’ll learn using real life examples from an actual building site. You’ll also be assessed to ensure you have mastered the skills that are required by real employers. For example, you’ll learn processes for using equipment and tools correctly. As part of our building and construction courses you are given access to TradeHub. “TradeHub is a brilliant tool for those who could use an extra helping hand when working on assessments. It offers step-by-step instructions and tricks to help you succeed in your studies,” says Program Manager Chris Veness. Tradehub clearly explains key concepts that you will need to understand to work in construction. It can help you work out area, volume, percentages, fractions, ratios, instructions, manuals and safety documents. So whether you’re just starting out or thinking of changing careers, a qualification in construction can lead to a versatile, outdoor career that offers so much more than a standard 9 to 5 role. Take a closer look at Open Colleges building and construction courses and find out which one could get you on your way to a rewarding, lifelong career. Please I wanna register to develop my building skills.